You just never know what people are building in their spare time. 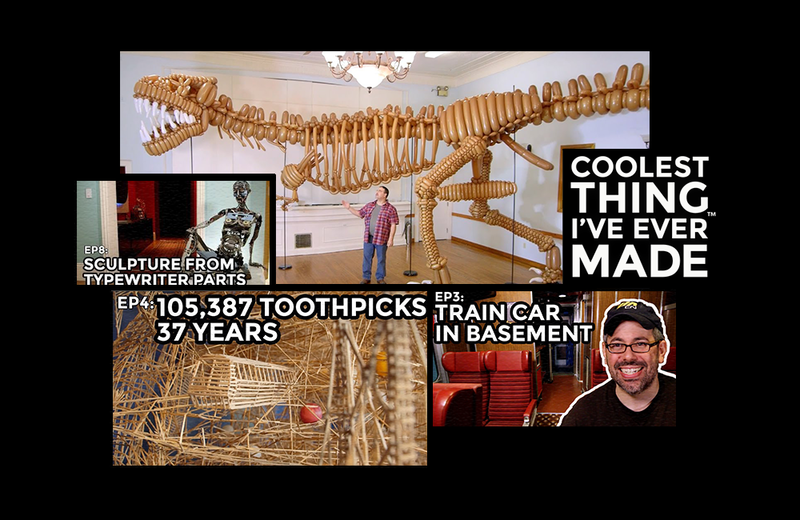 ‘Coolest Thing I’ve Ever Made’ is a new web video series that highlights this creativity. How would you feel if you created the “worst video game of all time?” The game developer behind Atari’s E.T. the Extra-Terrestrial game tells his story. The once ubiquitous seesaw has fallen out of fashion. Is helicopter parenting to blame? The Mystic Emoji Ball is a new Magic 8-Ball for a new generation of seekers. There’s an online version of Lode Runner now available. And yes, you can create your own levels. Get playing! You can now watch the very first episode of ‘The Price Is Right’ with Bob Barker on YouTube. Amazing. Remember the Richard Scarry books we loved as kids? They’ve slowly been changing over time. Proof that ’90s nostalgia is almost as big as ’80s nostalgia: Hasbro has Nerf and Troll Dolls to thank for a surge in sales.